We used the tutorial from Wellness Mama to make shower melts. Instead of making them for colds and congestion, we changed the essential oils to mostly cypress with a little lavender and peppermint thrown in to make it energizing. We also added a little food coloring and some sparkles. I packaged them in mason jars and used picmonkey to create a label for the top of the jar. This is a tutorial from Red Ted Art, but we used pony beads instead of perler beads. I was lazy and tried to use cooking spray instead of brushing the cookie cutter with oil but it turned brown and I do not recommend it. I put the toaster oven outside to avoid fumes and we sprinkled some glitter on top. 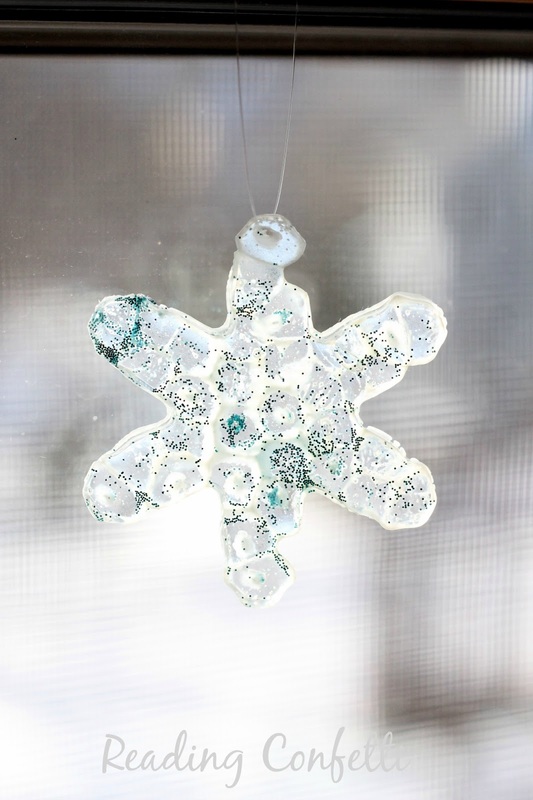 It works whether you sprinkle on the glitter before the ornaments melt or immediately after. 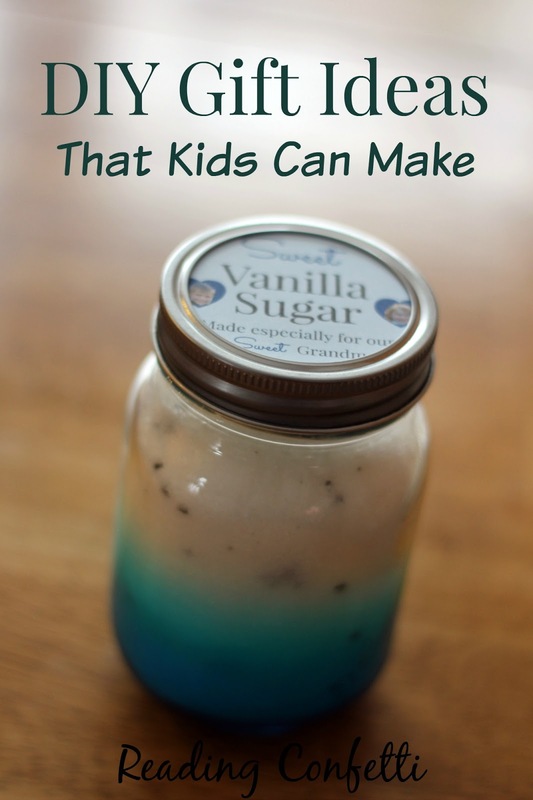 We used the tutorial from Tasty Yummies to make homemade vanilla. She also has free printable tags but instead I took pictures of the kids holding the ingredients and made personalized labels. I used a piece of clear packing tape to attach the label. The beans we had leftover from the homemade vanilla were used to make vanilla sugar. 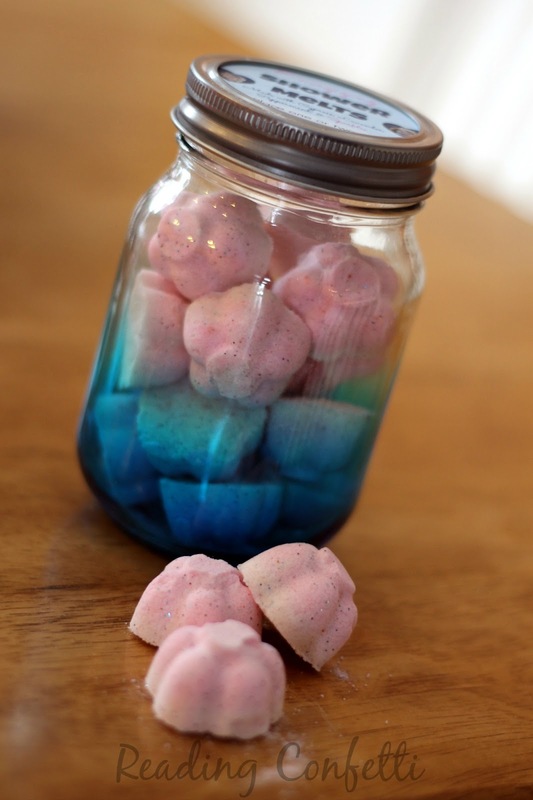 This was SUPER easy and even the littlest kids could help make it. 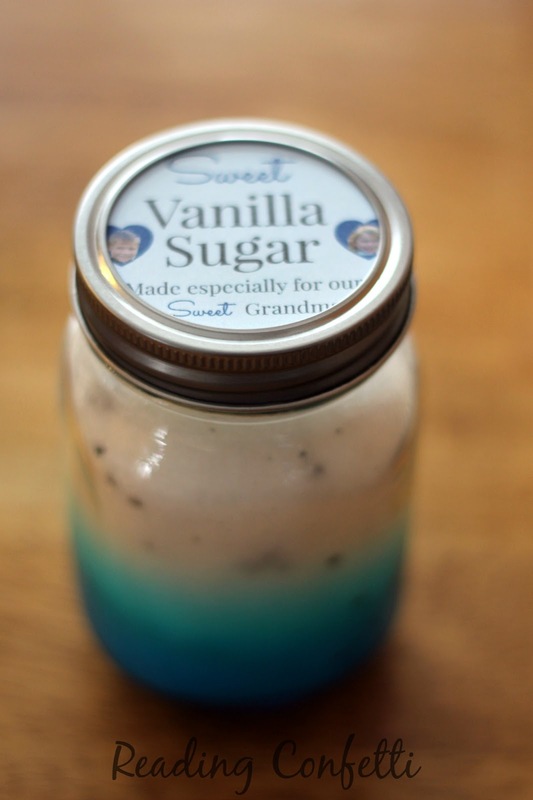 We filled a jar with sugar, scraped out the vanilla beans, and added the seeds and beans to the jar. 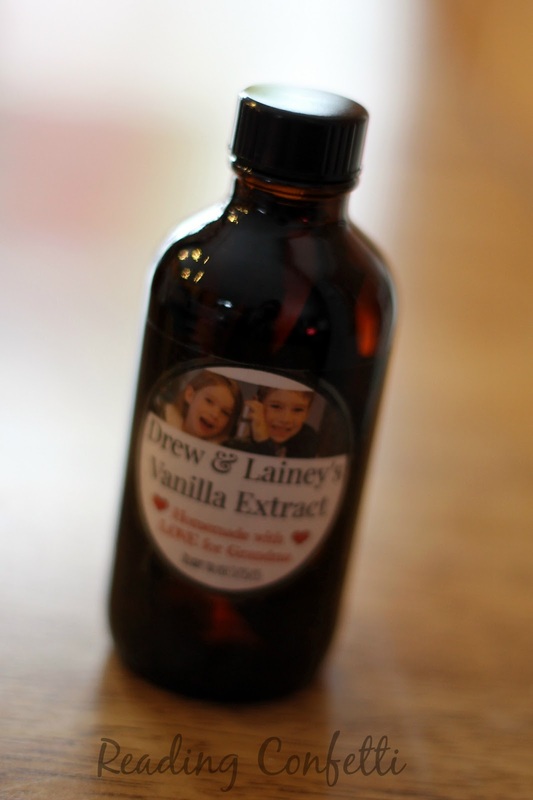 Give it a little shake and add a personalized label and you've got a cute kid-made gift. The sugar should sit for at least a month for maximum flavor but the recipient can keep filling the jar with the bean pods until they "wear out". We didn't come up with I Spy ornaments until after we were finished making all our gifts, but this is on the list to make for next year. We've also made our own soap to give as gifts and crafted some salt dough ornaments which have become a tradition for us. 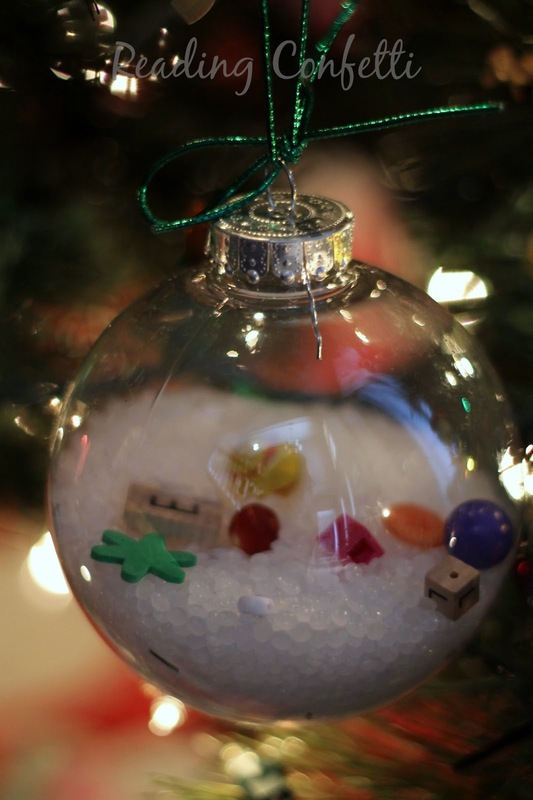 What are you favorite kid-made gifts? I'd love to pin them on my gifts board for next year.